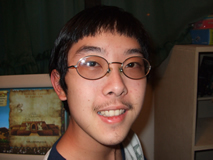 Tyler Yoshiyama is a student at the University of Hawaii at Hilo majoring in Computer Science. Born and raised in Hilo, Tyler has excelled in academics from a young age, and was a valedictorian of Hilo High School. Tyler has also regularly worked on his family’s coffee farm for 15 years. He believes that this internship will be a valuable work-place experience that will complement his academic successes. Even the most expensive telescope can make mistakes. It is critical that the telescope is tested after an error and before important missions. However, telescopes like the Advanced Electro-Optical System (AEOS) use the current time from GPS satellites to compute the position of an object. This means the telescope cannot be tested for past errors or future missions. The purpose of this project was to create a system that lets a user trick the telescope into thinking it is the time the user specifies. The system was composed of a computer with Linux and a timer card installed, a Graphical User Interface (GUI) in Tcl/Tk (Tool Command Language/Toolkit), and a program in C. I practiced programming both Tcl/Tk and C in the Linux coding environment. I created a GUI which allows a user to input any valid time and date in year/day or month/day format and read what the card thinks is the time and date in year/month/day format. The GUI handles input checking while a C program sends and gets data from the timer card. I also added a networking feature, allowing someone to set and read the time on the card from a remote computer. The time setting feature has been completed and is ready for use in the field, but the networking feature is still being tested for bugs.